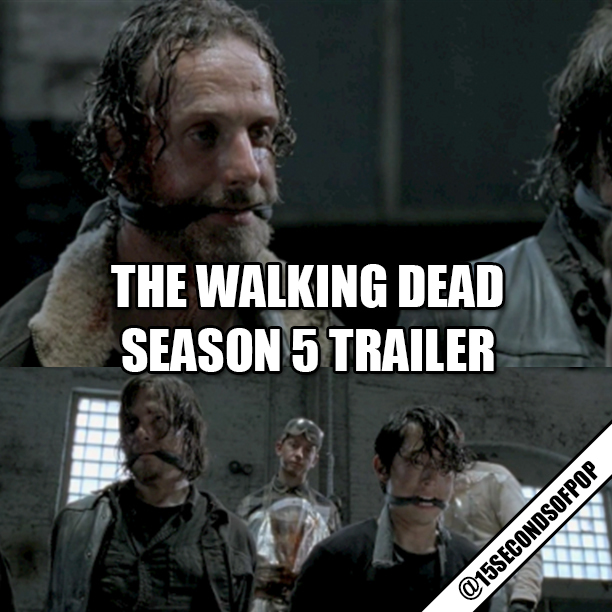 The Walking Dead Season Five trailer just debuted at Comic-Con! It features Rick bonded and gagged by the people from Terminus, and also teases us of what may come from our favorite characters! You can watch the FULL THREE minute trailer on my below. Season five premieres Sunday October 12.